Most people prefer to try and find a natural remedy for their ailments. Natural or home remedies for migraine headaches are often overlooked in favour of using a drug. This is because most people are so desperate to find relief for this notoriously debilitating condition that they seek the help of a doctor of medic. The obvious choice for your medical practitioner, is to prescribe a drug. The majority of doctors and medics will not prescribe a natural remedy because 1. they probably haven’t been taught about the various benefits of vitamins and minerals and 2. the drug companies will take a dim view of anything being prescribed which is not produced by them. The problem with drugs is, they can often have side effects. It’s bad enough having the migraine without having another problem introduced by way of a prescribed drug. Medications such as Codeine can cause sufferers to feel drugged up and exhausted after the event is finally over. Some drugs such as Imitrex are known to intensify the nausea in some patients and even induce chest pain! A migraine will disrupt your day, stop you working and make you thoroughly miserable. 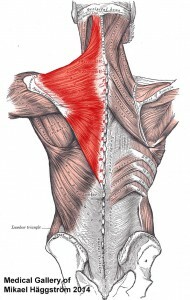 They are extremely painful and often frequent, recurring regularly for some people. All most sufferers can do, is retreat to a darkened, quiet room with an ice-pack or cool cloth for the forehead and eyes and just wait it out in pain and discomfort. I used to suffer with severe migraines that lasted for days. I was completely disabled for the duration with intense pain and nausea and shivering and shaking all the time. Light and noise was incredibly uncomfortable and just moving induced more pain. Suffice to say, I have not had a single attack since taking my Magnesium (Mg) supplement on a daily basis. Many migraine patients will make the mistake of drinking diet coke or sodas to try and keep hydrated during an attack, but this will often exacerbate the situation because of the intake of ‘aspartame’, which will only make matters worse. Aspartame is an excitotoxin and there is much evidence to suggest that this substance plays a role in introducing several disorders not least migraines. I’ll talk more about this later and I will be doing a post on Aspartame in the near future to give people the lowdown on this unpleasant artificial sweetener and it’s side effects. Side effects from taking drugs. There does seem to be certain foods that can trigger an attack. These are different for each sufferer, who soon learns what not to eat if they want to help avoid a migraine. These foods can include, but are not limited to: chocolate, cheese, nuts including peanut butter, fruits, monosodium glutamate (MSG), pickles, dairy produce, cured meats, bacon to name a few. Alcohol is also known to be a trigger, particularly red wine and beer, also caffeine intake needs to be monitored. Other triggers can be: certain smells or perfumes, loud noises and/or bright lights, smoking or smoke from tobacco, heat, high altitude, thundery weather. Other considerations which could cause an attack are: skipping meals, sleeping too little or too much, physical or emotional stress, particularly after a stressful event, medications including excessive use of headache pills which can lead to more frequent attacks, fluctations in hormones during pregnancy, before and during menses and menopause. Are there any symptoms I’ve missed? Please comment if you have other symptoms and triggers not mentioned here, this will help other sufferers. Taking anything with Aspartame in it is a no no! If you drink sodas with added artificial sweeteners to re-hydrate please try to stop and just drink plain water or mineral water. If you have to sweeten your drink, use ordinary sugar in preference to a sweetener, except perhaps stevia which has no known side effects to date. Steer clear of any drink that advertises: low calories, no calories, no sugar added, no added sugar, or as diet coke says: no sugar, no calories. Aspartame has been linked to various disorders including migraine, huntington’s disease, alzheimer’s disease, parkinson’s disease, learning disorders the list is long. Some people actually get addicted to diet drinks and to stop taking them can be difficult. This is because they often suffer withdrawal symptoms such as strong cravings, feeling dizzy, being depressed, itchie skin and unfortunately, headaches! Stick with it and kick those low cal sodas to the kerb, they can be the biggest factor to inducing your migraine. Make sure you’re not consuming aspartame in your food without knowing it. Check labels and again look out for ‘no sugar added’ or ‘low calories’ clues. Now is the time to start taking a Mg supplement. 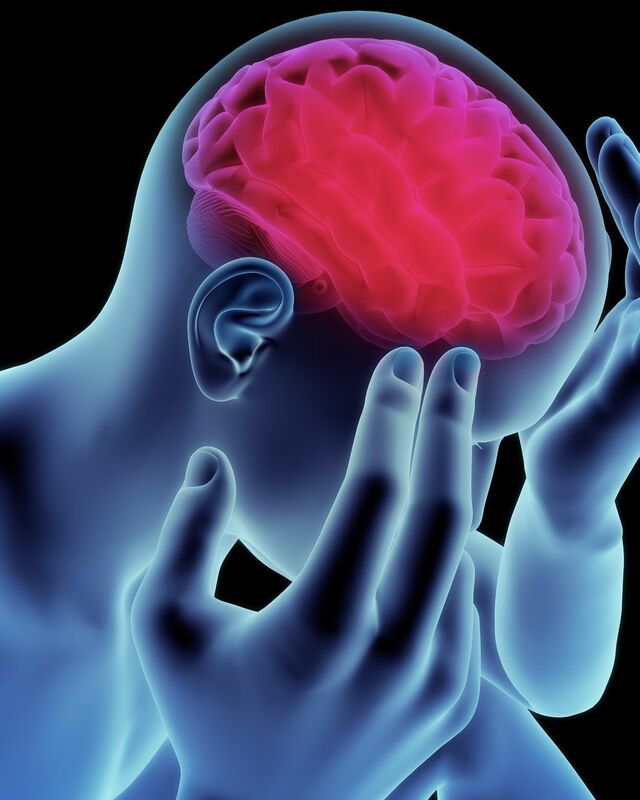 A regular intake of either Mg Citrate or Mg Chloride will help reduce those migraines and with most people they will eventually disappear altogether. If you’re a diet coke or soda drinker, stop now! 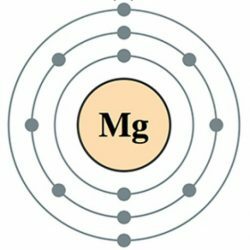 You will get some withdrawal symptoms if you’ve become addicted but that’s just the time to up your dose of Mg. You will not believe the difference in your health and well-being once you start supplementing with this amazing alkaline mineral and if you suffer from migraines, they will diminish and often disappear. I am the proof of that. See my post on Magnesium Supplements for details of different ways of taking this amazing mineral. There are many other posts and pages on this site, talking about all the aspects of Mg supplementation and why it’s necessary for most, if not all of the population. 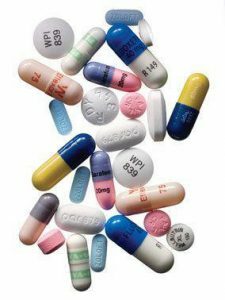 Of particular interest is the list of ailments and diseases that can be relieved and sometimes prevented by taking regular Mg.
Good article, we live in a drug-oriented society today where the average person will look for a quick fix to their ailments. The quick fix is usually over the counter medicine or prescription medication which may have horrible side effects. I learned about a new natural remedy for migraines in this article. The next time I get a migraine headache I will go to a dark, quiet room and I’ll put an ice-pack on my forehead. I think more people need to look for remedies like this to solve their ailments before turning to drugs. I am, unfortunately, a migraine sufferer. Since cutting most bad things out of my diet completely, I’ve noticed a significant change in the amount of migraines I had. Lately, though, I’ve felt a lot of the old symptoms coming back, especially light headed-ness and dizziness. I mostly noticed this after going a while without eating. What are some foods naturally rich in magnesium that I can integrate into my diet? I’ll check out the magnesium supplements in the meantime. And again, thank you for the informative post! I am an acupuncturist and see this in my clinic a lot–not consuming aspartame is a HUGE thing, and hard for many of my clients to give up. I have also recommended magnesium flake baths to my clients with migraines–have you tried this? Stress sometimes plays a part, as done lack of sleep, but not always. Great post! I agree with you, I believe that taking pills is not always the best solution. But It seems like person would rather take pills to try and get a quick relief rather than going the natural way, which they believe will take time. but I believe that natural is better, sometimes all a person my need is rest to get relief I have experience this many times, or even a drink of water can sometimes bring relief. I like how you address this topic of going natural. I started off reading this post and then ended up going all over your website, as I was so interested to read more. I wouldn’t say I suffer terribly from migraines, but I have heard whispers before of Magnesium being good for women’s health in particular. After having more of a look at the role Magnesium plays in overall health I am amazed. I suffer from quite a few of the symptoms you list, so it’s definitely something I’m going to try. I also wanted to applaud you on highlighting aspartame – I personally think it’s a poison, and I steer our family away from it completely, whatever it’s present in. I also advocate the use of a little sugar if you need sweetness – avoid sweeteners like the plague, unless they are 100% natural. 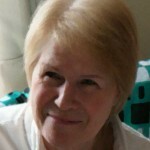 I think your whole site is really informative – how did you originally come to know about Magnesium and what it can do? Hi there Mara and thanks for reading the article. I do hope you get some relief from your symptoms by using a Mg supplement. I recommend Mg citrate if you want a gentle laxative affect or Mg chloride if your digestion is good. Don’t waste your money on Mg oxide, it’s the cheapest form and only a small percentage, less than 4%, will get absorbed. The rest will go straight through you. As for how I found out about Mg. I was suffering from various ailments not least, crippling back spasms, insomnia, facial twitches especially around the eyes, ankle pain, headaches, fatigue of mind and body (couldn’t exercise, no energy), sciatica on my right side. My bones ached, like I had the flu. I was also so miserable, anxious and always in a pessimistic mood. I thought it was downhill from now because of my age and that these symptoms were just the start of a spiral of deteriorating health. I came across Dr Carolyn Dean and her book The Magnesium Miracle and that was it. Everything fell into place. My husband who is a senior lab technician, made up a solution of Mg Chloride which we now take every day religiously. Dr Dean produces and sells a similar recipe as ReMag, it is a little expensive but well worth it. There is a cheaper version available and if you prefer the Mg citrate, that’s not so expensive and can be bought in powder form which enables you to control your dosage. I have a page on different Mg supplements at Best Magnesium Supplements which may be helpful to you. Needless to say, all my symptoms have long gone and I’m back to my old (young) self again. My husband, who has to be regularly tested for glaucoma because of his very high pressure reading, has recently been tested again and his mm of Hg has dropped by 2mm of pressure. His readings have never dropped EVER. His optician was a bit surprised! Also, having two brothers who have had serious strokes, he takes Mg to protect himself against stroke and heart disease (his mother died of heart disease at age 50). This is a really sensible post. You’re right, drugs are not always the answer if you can find a more natural remedy. I never knew aspartame was so bad. I knew it wasn’t good, but it truly sounds like an evil substance to avoid at all costs. Fortunately I don’t suffer migraines, but I know people who do and I’ll share your post with them. keep up the great work. 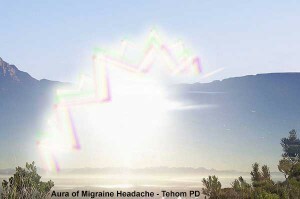 I personally have not suffered from migraine head aches, but I know people who have, and they are terrible. This page provides great information on a drug free way to cure migraines. I had no idea that magnesium supplements could have such a positive effect, and is a safe alternative to drugs. Thank you for posting this! Sometimes we jump to medication instead of looking at what we are eating. Most medications should be only for temporary use, and if you are using it long term, you might want to think about your lifestyle and what you are consuming. People fail to notice that they could not be getting enough vitamins or minerals, or they might be taking too much of one but not enough of the another. Keep it up, plus it is good to know why I don’t like to drink or eat things with artificial sweeteners.